For the love of life: JustRite and Petaloo Christmas Inspiration Blog Hop! 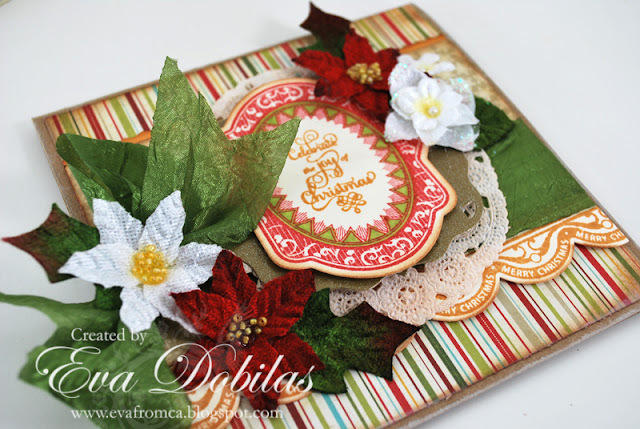 JustRite and Petaloo Christmas Inspiration Blog Hop! Hi there, welcome to JustRite Papercrafts and Petaloo Christmas Inspiration Blog Hop! This is day three and today I have a card to share with you using both manufacturers products, which I love, so it was very easy to create. For my card I am using JustRite Papercrafts Joy to the World Medallions stamp set, which coordinates with their Nested Oval Medallion Labels Dies. 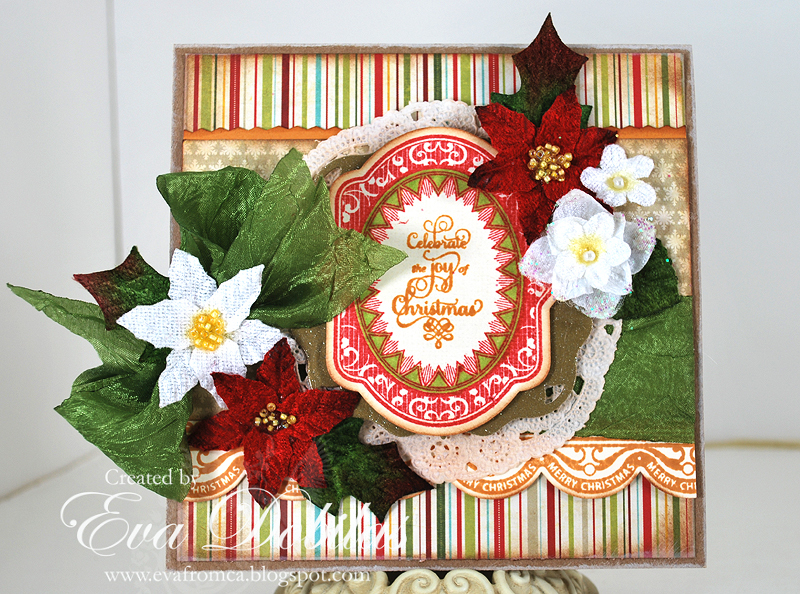 I also used JustRite Papercrafts Classic Sentiment Edges One, which coordinates with Spellbinders Classic Edges One. And how about those pretty flowers....they are Petaloo's Red Mini Poinsettia's, White Poinsettias, White Forget Me Nots and White Velvet Hydrangeas. They sure are pretty, aren't they? Here is a different angle of my card to show you the layers, which I have quite a bit, as you can see. Well, that is all I have for now, but I will be back tomorrow with another JustRite Papercrafts and Petaloo card. Make sure you hop over the both JustRite Papercrafts and Petaloo's blogs as there are more Christmas inspirations waiting for you and you don't want to miss out.